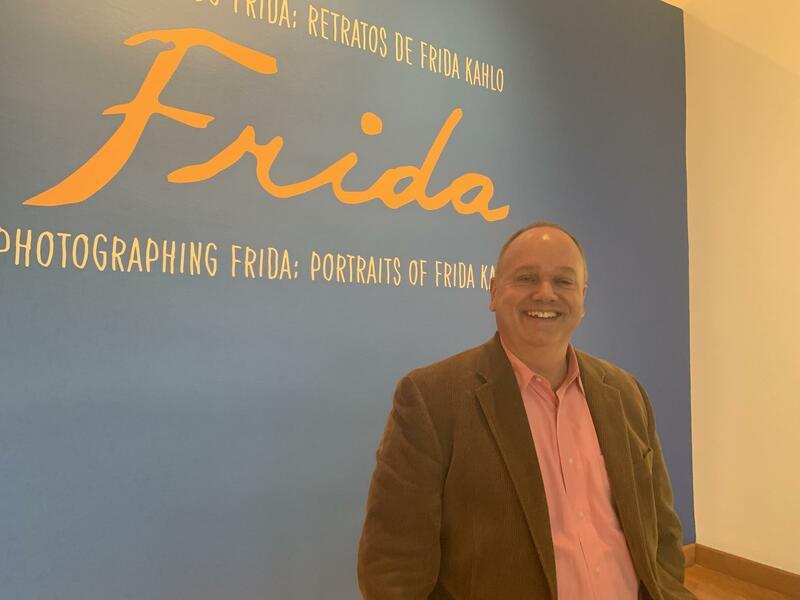 An exhibit centered around the artist Frida Kahlo is now open at the Arkansas Art Center. Photographing Frida: Portraits of Frida Kahlo, features photographs of Kahlo throughout her life. 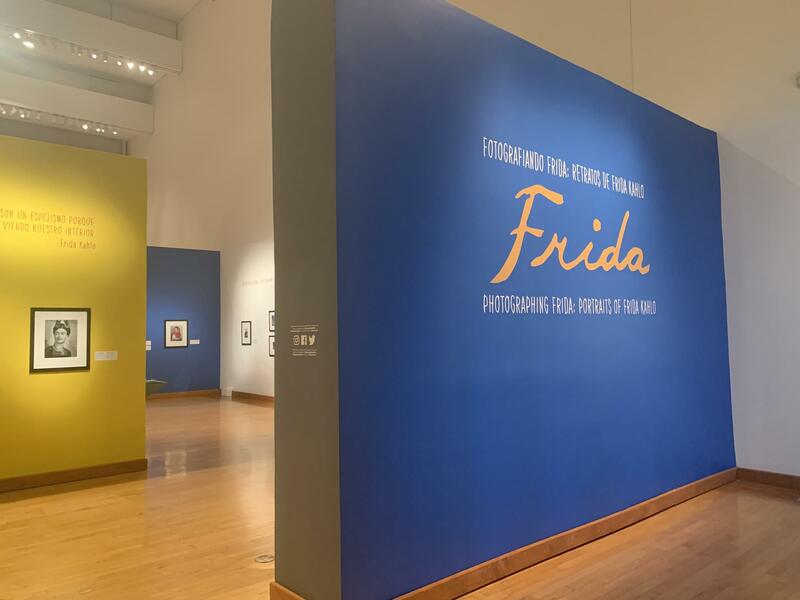 The new exhibit, the first ever on Frida Kahlo in the Arkansas Arts Center’s history, is coordinated down to the color of its walls. The bright blue visitors first see when entering the gallery are influenced by Kahlo’s past. "We were very much inspired by the bright colors of Mexico and specifically those that Kahlo used in her home named La Casa Azul. So the title wall is that vibrant blue color of La Casa Azul," Brian Lang, chief curator for the Arkansas Arts Center, said. The exhibit, created specifically for the center, consists of nearly 65 photos of Kahlo, spanning throughout her lifetime. The center worked with New York gallery Throckmorton Fine Art, which specializes in Latin photography. While, painted self-portraits are mainly what comes to mind with Kahlo, Lang feels the medium of photography also captures who the artist was. "From a young age, Kahlo was quite conscious of how she presented herself as a young woman and later as an artist. And visitors really get to see that, how she played a role in presenting herself through photography," Lang said. 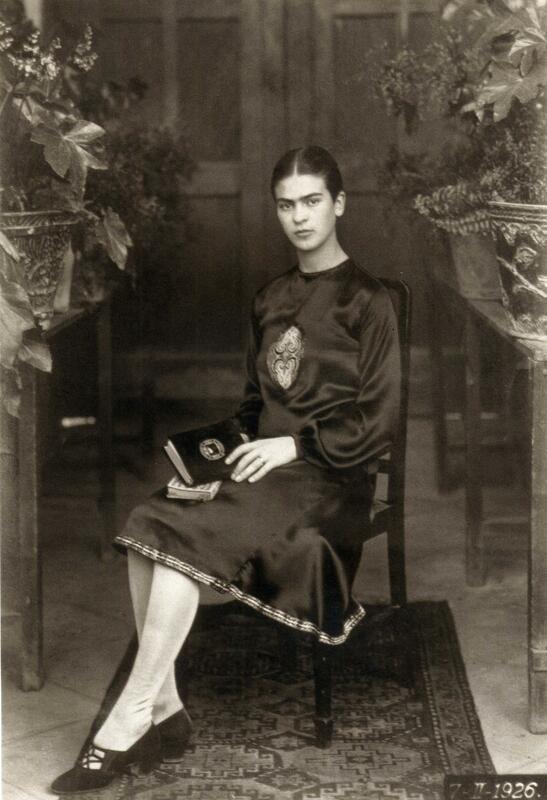 Portrait of Kahlo, taken by her father Guillermo Kahlo. The photographs not only range in when they were taken, but also who was taking them. The very first photograph visitors can see is one taken by Kahlo’s father, Guillermo Kahlo. Lang says Guillermo Kahlo’s profession as a photographer influenced Frida Kahlo in how she saw herself and in her art. "She said she was the subject that she knew best, which was largely why she focused on self portraits. She did about 200 paintings over the course of her career, 85 of which are self portraits," Lang said. In addition to the photographs, the exhibition also features the Diego Rivera painting "Dos Mujeres", a cubism piece by Kahlo’s husband that is a part of the center’s permanent collection. "We wanted this portrait to be on view up until we close for renovations later this year, and we created an adjacent space to the Kahlo exhibition to give additional context to that photographic exhibition," Lang said. Ultimately, Lang wants visitors to leave the exhibition with a deeper understanding of Kahlo, among other things. "To have an additional understanding of diverse cultures and perhaps an appreciation for the photographic medium and its power to portray subjects," Lang said. Photographing Frida: Portraits of Frida Kahlo, is open at the Arkansas Arts Center until April 14th. The exhibit is free to the public.